According to Harvard Business Review, 81% of customers prefer self-solving their issues before reaching out to a support representative. Organizations need to continuously enhance self-service capabilities. This eBook provides an objective view of how an AI-driven enterprise search solution helps with self-service success and with improving case deflection. 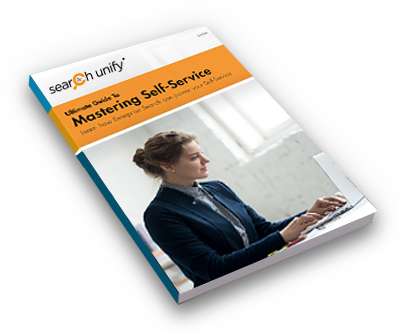 Thank you for requesting your copy of “Ultimate Guide to Mastering Self-Service”. We’ve emailed it to you. Please check your inbox. Copyright © SearchUnify. All rights reserved.